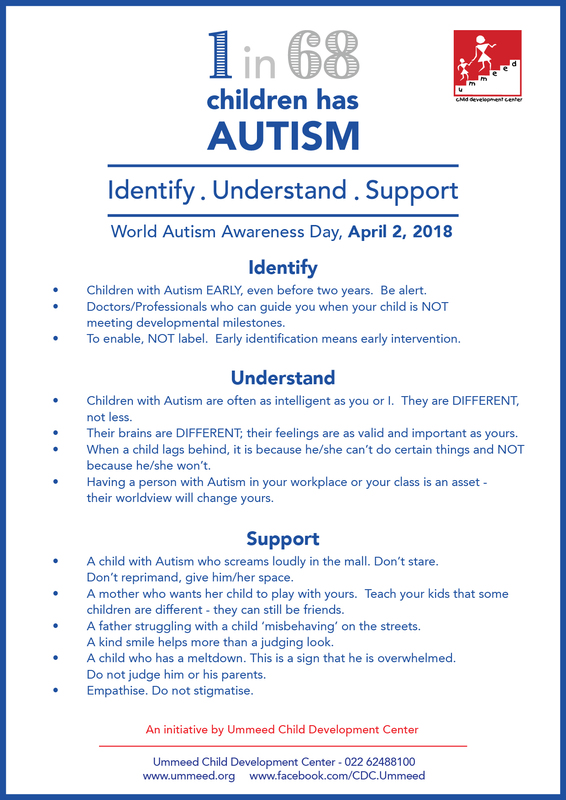 Last year, as part of World Autism Awareness Day, Ummeed Child Development Center, Mumbai organized an awareness campaign that included iconic Mumbai landmarks such as the Sea Link, Taj Mahal Hotel, Royal Opera House, Jaslok Hospital and Cipla House to light up blue on April 2. This year the campaign is even stronger and we hope to spread awareness on Autism as buildings across the city light up blue. Ummeed has thus far partnered with the following landmarks and buildings to Light It Up Blue on April 2 (given below are the confirmed buildings and monuments, however the list is likely to grow). The stunning apparel store JADE on Pedder Road will be curating a blue window display with the messaging for World Autism Awareness Day. Ummeed’s campaign theme for 2018 is: 1 in 68 children has Autism. 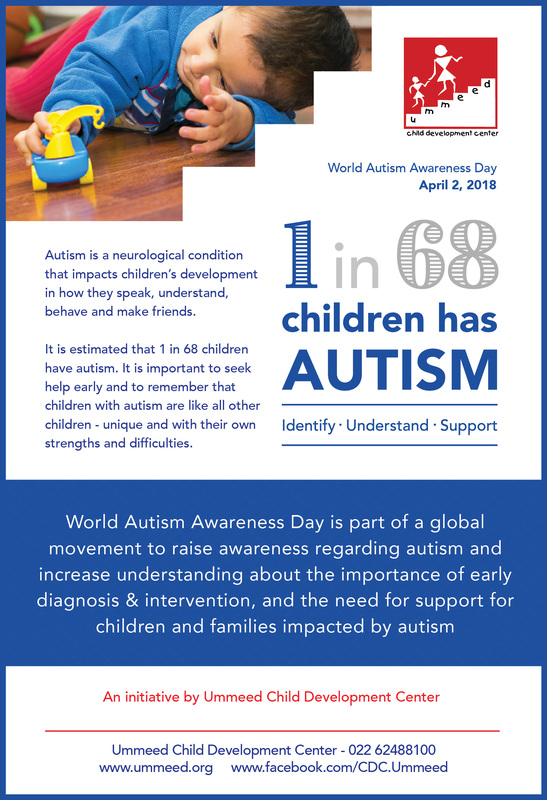 1 in 68 children have Autism Spectrum Disorder. ­In fact, more children will be diagnosed with Autism this year than with cancer, diabetes and AIDS combined, according to Autism Speaks, a US-based advocacy organization. Autism is the fastest growing neuro-developmental disorder in the world. ‘Neuro’ — because it is related to how the brain functions and ‘developmental’ — as it primarily impacts how a child develops. Autism impacts children’s development in how they speak and understand what is being said to them. In addition, children with Autism often struggle to form friendships and other social relationships and may have interests or behaviours that are obsessive and repetitive. Ummeed, meaning ‘hope’, is a non-profit organization set up in 2001 by Dr. Vibha Krishnamurthy with the objective of helping children with developmental disabilities or at high risk for disabilities, reach their maximum potential and be included in society. Ummeed achieves this by working in collaborative teams, creating and following best practices, empowering families, building resources in the community, participating in advocacy as well as working with children and families from all sections of society. For more than a decade now, Ummeed’s multi-disciplinary team of developmental pediatricians, Autism interventionists, occupational therapists and mental health professionals have worked with thousands of families of children with Autism. Children receive therapy to support their communication, social, play and academic skills while parents are also trained to help their children acquire these skills that may not come easily to them.